Cushion Grip handle allows for greater torque and comfort. Integral flanges inside handle provide solid, twist resistant blade anchor. Special heat treated shafts. Precision machined tip for exact fit. Premium chrome plated for smooth feel and corrosion resistance. 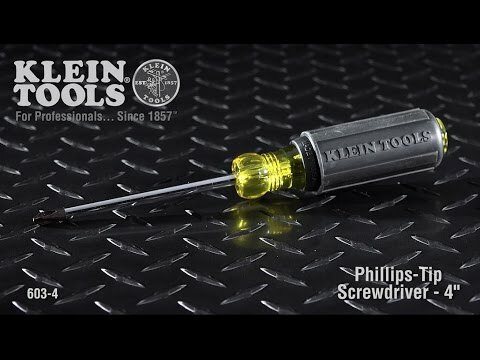 Patented Tip Ident quickly identifies the type of screwdriver and screwdriver tip orientation. Meets or exceeds applicable ASME / ANSI specifications. No. 2 Phillips with 4-Inch shank.